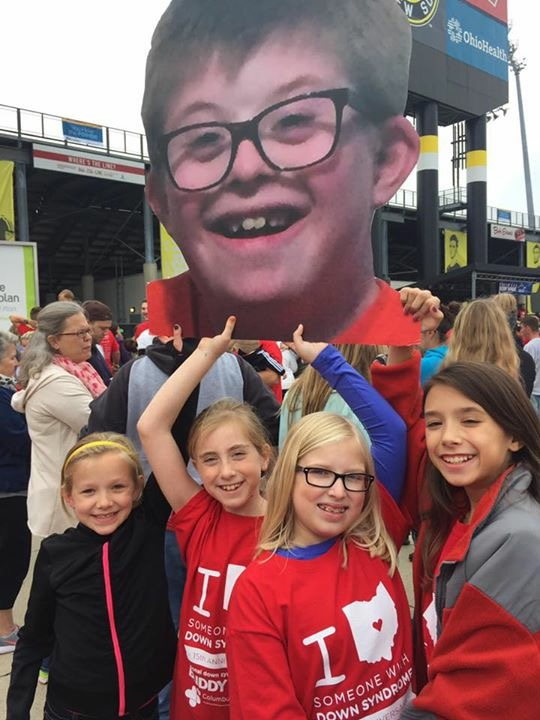 On October 1st, the Down Syndrome Association of Central Ohio will celebrate its 16th annual Columbus Buddy Walk®. 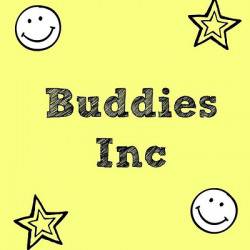 Hoping to raise $450,000 this year, DSACO is getting help from a new team on the scene: Buddies Inc, led by 11 year old team captain Addie Kearns. Addie is the youngest team captain for the Columbus event, and she has an older brother with Down syndrome. 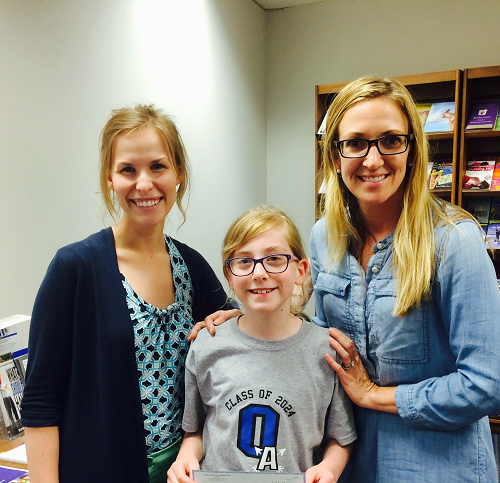 We had the pleasure of chatting with Addie about her team, which just recently exceeded its $2500 goal. Addie served as a co-captain for several years for her brother’s Buddy Walk team, Team Alex, and she helped raise money for that team. This year, she decided that she wanted to raise awareness on behalf of all people with Down syndrome, so she was encouraged to start her own team. (Her younger brother is now acting as co-captain of Team Alex, and he hopes to one day lead his own team, too!) Addie decided that her fundraising goal would be $2500, because that is the amount the Columbus team captains need to raise in order to get your team’s shirts customized with the team name. So far, Addie’s most successful team fundraiser was a spirit week at her school. She worked with her principal and teachers to plan a different theme for each day during the week: PJ Day, Silly Sock Day, Dress Like Your Favorite Book Character Day, Favorite Sports Team Day, and Dress Like a Teacher Day. The students and staff were encouraged to donate $1 for every day they dressed up, but a donation was not required to participate in the fun theme days. Spirit Week raised $828 for Buddies Inc.
Addie enjoys fundraising because she knows that her efforts are making a difference to individuals with Down syndrome and their families. She appreciates knowing that her fundraisers are helping to make programs like iCanBike, which teaches kids with disabilities how to ride a bike, available in Central Ohio. She really loves riding her bike, and shared that she thinks riding a bike is something all kids should get to do. Addie was really proud to know that she was helping to make that program possible. When describing the Columbus Buddy Walk to her friends, Addie calls it a “really fun event”, and she loves having “so much fun” with her friends every year at the walk. She wants her team members to know that they “can make a difference in the world”. We think she is certainly a fine example of the difference kids can make! 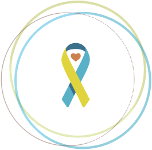 To learn more about the Columbus Buddy Walk, please visit their Stride fundraising site.